If you’re not using Twitter, you’re not alone. Although the social networking site is growing at a rapid pace, it is still far smaller than giants like Facebook, LinkedIn and MySpace. And yet it may provide more opportunities for job seekers than any of those sites. To understand why, you first need to understand how Twitter works. Twitter is often called a micro-blogging site. Basically, it allows users to broadcast messages to the world as long as those messages are 140 characters or shorter. Your messages, known as ‘tweets,’ are publicly available to anyone (here’s my page) but with millions of people tweeting, the real benefit comes from the fact that you can choose who to listen to. In effect, you tune in to another person’s Twitter feed and in doing so, you see everything they write. All I can say is that once you try it, you’ll start to see the benefits. I use it to keep up with news sites, to follow industry happenings and to understand job seeker concerns. Others use it to keep up with friends (I haven’t been able to sell any of my friends or family on using it yet!) or for countless other reasons. But I want to talk about how you can use it for your job search. First and foremost, Twitter is a social networking site. Like LinkedIn or Facebook, it allows you to make connections with others. However, unlike those two sites, there is no requirement to know the people with whom you connect because on Twitter you don’t ask someone to accept you as a connection, you simply hit the ‘follow’ button and from that point on you see everything they write. And conversation is the lifeblood of Twitter, so you are perfectly free to reply to anything you read. This gives you endless opportunities to connect with recruiters and hiring managers in your target industry. It also allows you to listen and learn from the very people you want to attract attention from. To get started making connections, I recommend using either Twellow or Twitter Search to find people you would like to follow. By the way – many of these people will follow you back, but some won’t. It doesn’t matter. You just need the ability to communicate with them. Now you can follow conversations and reply if you have something interesting to say. Even a ‘thank you for this informative post’ message is welcome. We all like to know that other people are listening to our words of wisdom. Twitter Search allows you to follow conversations that include keywords you choose. This is an excellent opportunity to passively surf for vacancies as many hiring managers will tweet about their openings. Simply go to Twitter Search, type in the key words (for example ‘web design jobs’ or PR internships’) and in the upper right hand corner you will see a button that says ‘feed for this inquiry.’ Now you can subscribe to the RSS feed using this button and just check the feed a few times a day. Any time your keywords arise in conversation, you’ll see the tweet in your feedreader and you can instantly respond. I just had a perfect example of this myself when I tweeted that I was looking for a web designer. Several designers instantly responded even though none of them were followers of mine. One of them, David Harry shot me an email explaining that he was tracking Twitter for mentions of SEO and saw my post come up. I’m not sure if we still need the help, but regardless, he and I are now following each other, I’m writing this post and linking to his site, he plans to link back to me and I’ve bookmarked his business site should I decide I need his help. That’s a connection that couldn’t have been made without Twitter. Recently Jonelle Marte wrote about this in the Wall Street Journal. Looking for a new job, Alexa Scordato didn’t email or call her contacts about possible openings. Instead, she messaged them via the social-networking Web site Twitter.com. It must be said that this isn’t the norm. You need a good network of followers and some luck for that to happen. But it’s certainly possible and especially if you have taken the time to research and follow the right people (many of whom will be folllowing you back, remember). For example, if you’re seeking a position as a marketing manager for a technology company, and have followed recruiters who specialize in that industry, and hiring managers or employees who currently work at some of your target companies, there’s every chance that when you say ‘I’m looking for a marketing job in a tech company’ that someone will know of such a vacancy. This is why targeting people to follow is so important. Don’t just add people as fast as you can so that your own number of followers increases – instead focus on finding people who can help with your search. Which brings me to my fourth point. No matter how well you do at attracting followers and making the right connections, no one will want to hire you if your tweets are all about what your kid just did, what you’re making for dinner, or how you got smashed at a party last night and couldn’t find your way home. Sure, it’s nice to see the personal side of people as well as the professional, but keep a balance and remember your goal. You want people to want to hire you and that means you need to be impressive and add value. So if you’re a marketer, tweet about marketing. Share your ideas, link to your blog posts or blog posts written by other people. Offer tips and insights. In other words, establish yourself as knowledgeable so that when you do make contact with a recruiter, they are impressed with what they hear from you. If you absolutely must write things you wouldn’t want an employer to see, set up a separate account that is private and can only be accessed by people you authorize (this is easily done in settings). Twitter allows you to write a brief bio describing yourself and to link to one external website. If you have a blog or a personal site, link there (provided the content is professional!) If not, link to your LinkedIn profile, or set up a Visual CV. It’s important to make sure that people who click on your link find good, solid information about you that will make them want to know more. This is so important. Every time someone follows me, I check out their page to see if I want to follow back. I look at their bio, I look at the content of their tweets and I often click on the link to see where it takes me. An unprofessional image at any of these points can be a real dampener on your job search prospects. I think Twitter is a wonderful opportunity to connect on a personal level with people you might not otherwise have a chance to reach. Of course, if it’s important that you keep your job search secret, Twitter won’t be a good solution for you, so keep that in mind. These are my 5 tips, but if you have others, please let us know in the comments. Excellent point Scott. The Twitter universe is unforgiving when it comes to Spam. (I personally hate the constant posts promoting Alltop). People will ‘unfollow’ in a flash if your abuse their time and attention. Pingback: JibberJobber Blog » Blog Archive » Twitter in the Job Search?? I got my latest job using Twitter and I just hired an employee using Twitter as well. In fact, our whole department has been hired through Twitter. Hey Louise that’s a great list you have going there. I think people that are using Twitter correctly are seeing great opportunities from it just like you noted. Number 4 “Adding Value” is the step a lot of people are missing, but its important to see Twitter as a platform to establish credibility and demonstrate your knowledge in a particular subject. Twitter has been crucial in getting me to where I am in the PPC & Social Media space, and I am sure someday Ill be employing it as a job search tool as well 🙂 Great post! Ash, wow – that’s cool! Joanna, thanks. I do think adding value is maybe the hardest thing for people to grasp, as well as an idea I didn’t mention which is helping and promoting others. You get what you give, so people can’t expect to just log on, send out a few tweets and have the world at their feet. Excellent post Louise! Thank you so much for writing it. As a blogger in the hiring niche, this post has to be the best I have seen written on how to use Twitter in the job search. I would love more information from Ash if possible. I would like to highlight his/her success story on my blog. Please feel free to forward my contact information to your reader. Thank you for a great post. I will be linking back to it in the next couple of days. Darlene, thanks so much for stopping by and for the kind words. I plan more posts on social media and job search because I just think it’s such great opportunity for people to bypass the normal hiring process and get attention. 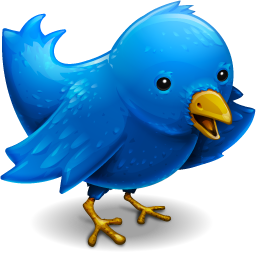 Your article is an eye opener towards using Twitter in job search. I had assumed that it is only useful in keeping people updated on where you are and what you are doing at a given point of time. Suresh, glad it was helpful. Susan, that’s funny. My mother is only in her 60s but I wasn’t able to persuade her of the value either. I’m happy that I read this article! Twitter seems much less nebulous than facebook, a much simpler way to attract employers. Thanks. Great article and advice. I have used twitter to find freelance work – it’s an amazing tool if used correctly. 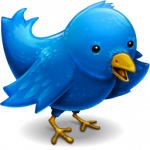 Pingback: How Twitter Can Help You Find A Medical Transcription Job?